An intergenerational church is one where all ages are working together towards a common goal–sharing and growing in their faith. While we create space for children and young people to belong and identify, we ensure they are embedded in a welcoming, loving and accepting wider church family. Forming relationships with children is the responsibility of all members of the church – not just their parents or those who are involved in children’s ministry. 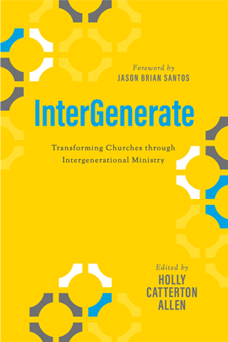 Intergenerational Christian Formation is the 'go to' book of all things intergen. Don't be put off by the weight of this book, it's an easy and enjoyable read, and lays the foundation for why the church should seek to bring the generations together for worship, service and life. 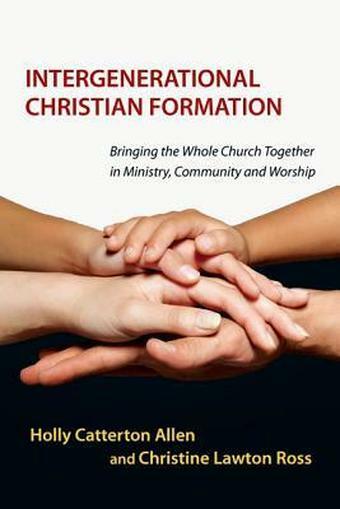 Catterton Allen, H. and Lawton, Ross C. Intergenerational Christian Formation:Bringing the Whole Church Together in Ministry, Community and Worship, Downers Grove, IL: IVP, 2012. In July 2018, Dr Holly Catterton Allen ran two workshops on Cultivating Connections between the generations, in Auckland and Wellington. If you're interested in all things 'Intergenerational' then take a look at some of our favourite books and resources. Two Ideas for Activities Related to Belonging - Phil Day, VCCE. Explore Together is a resource from Scripture Union, available from SUNZ. How intergenerational is your church? We put together a bit of an audit for you to check how intergenerational your ministries are. Rate each ministry (such as children's groups, youth group, seniors teas) from 1-5, and give yourself a total score to evaluate each group. You might be surprised which ministries are naturally 'intergenerational' and which ones you might need to invest in. Throughout much of Christian history, the Intergenerational church was the norm. However, in the last several decades, we have built a church with distinct silos, separating out our ministry with children, youth and adults. This creative workshop looks at what we have to gain when we reconnect the generations, and what we have to lose if we don’t.